I hate being on camera. I’ll be using video anyway. Here’s why. Video has become a driving force in content marketing. I know because, among other signs, a friend of mine just sent me an email and told me I need to use more video if I want more people to like/engage with my website/content. One only has to read The Guardian or look as far as YouTube’s success to see that video content is a thriving entity all on its own. In fact, I know people that have created a thriving business using mostly video as their main type of content. But, if you’re like me and normally just use textual content, the thought of using video can be daunting. Because of my friend’s suggestion, I’ve been doing a little research about video. If I’m going to do it, I want to do it well. Here’s what I found. You really don’t have to spend tons of money on the right tools for creating entertaining and engaging videos for your content marketing needs. However, at least spending enough to be able to provide adequate lighting and sound is important. You can even use your iPhone or iPad to create outstanding videos. For lighting, I read a great article on Wistia and ordered the setup they recommend for less than $100. Videos don’t stand alone. If you create one, you really should create more than one. Having a regular video series as part of your blog is a good idea. It will encourage more viewers to take the time to view your videos if you have more than one. At first it may feel as if no one is watching, but take the time to stick to doing them during a time period and see what happens. I will be creating videos and you sharing my results as we go along. You don’t want to make a video super long. More than three minutes and you’re pushing it unless you have really high quality images and sound to match the length of your video. If you do have something long to say, try breaking them up and do a series with one point on each video over time. For your first video you don’t have to reinvent the wheel; instead use some content you already have. If you have a “how to” blog post, why not do a quick video demonstrating how to do “it.” If you have a blog post with five tips on doing something better, do five videos talking about each tip for two or three minutes. Using visuals outside of your face is a good idea, to make it more interesting. Having an event such as an in-person interview, conference, or an online webinar? Why not record it, then edit it and repurpose it to use later. You can break up longer events into shorter videos with a little bit of editing and adding in visuals, and you could have a series of videos from one hour-long event. If you’re not sure about how to edit the videos or create them in a format that is usable by most browsers including mobile devices, consider outsourcing the editing process. Usually you would provide them with the raw video and they’ll cut it down and edit it to make it a more professional production. You can actually even hire local people to record for you. It’s up to you how much money you want to spend. But, it can cost a lot less than you think to produce very professional sounding and looking videos for your content marketing needs. You don’t have to worry about being perfect. That’s the big one for me. Take a look on YouTube at the popular videos in your niche. They are probably not perfect. There may be a few exceptions but more than likely the really popular ones aren’t perfect. As long as viewers can see something interesting, hear the audio and trust the value and truth of the information being shared, you’ll see success using video as one of your content marketing tactics. My next post will be a video. Wish me luck. Are you using video yet? If not, why not? If you’re a perfectionist who doesn’t like to be on camera (like me), maybe we can work through this together. Social proof is a concept in online marketing that individuals use to judge the reliability of a person or business online, and that search engines also use to improve page rank for your website. It’s about building trust among customers and potential customers, as well as proving that you’re a reliable and honest business. With the advent of social media such as Facebook, Twitter, Google+, LinkedIn, Pinterest and others, you can’t escape the importance of being social when it comes to online marketing. People actually do care about what their friends and family are doing, saying and buying. The actions of the influencers in your life help determine the actions you might make, even if you don’t notice the influence directly. Studies show that your closest friends influence not only your happiness but also your net worth. People say that “birds of a feather, flock together” and studies show that it’s a more common phenomenon than “opposites attract.” This means that with the right connections on social media, if you can get the word out about your products and/or services to one of your most ideal clients, and they share, it will likely end up being seen by more of your ideal clients. Most people trust word-of-mouth recommendations for products and services more than they trust any other type of marketing or advertising. If your best friend says she likes something, you are more likely to feel the same way. If someone you trust says they found value in something, you will feel more confident that you will too. Same goes for your customers. Developing and increasing your social proof happens through interaction on social media, blogging, and participating in your community. It doesn’t matter if your community is online or offline, being an active participant will go far in creating the social proof that you need to be seen as a trustworthy source of information. The more people who start quoting you, the more people who friend you, follow you, and retweet your information, the more social proof you collect. Creating branded social media URLs, along with a consistent image and profile will go far in ensuring that people know who you are. Once a person reads, enjoys, likes, shares and comments on something that you have written, they’ll be more likely to see you and your work in their search results. Before online marketing, we already knew that customers were more likely to tell people if they had a bad experience or disliked a service than if it was good. That’s still very true, and you must watch and manage your online reputation very carefully. The good news is that the tide has shifted somewhat in how people behave when they have a positive experience. Facebook, Yelp, Google and others make it easy to share positive feedback as well as negative, and more people are sharing the positive. Today, a person who likes something is likely to share with more than 1000 people over time due to the connections of others. Earning social proof is an important strategy if you want to market online successfully. 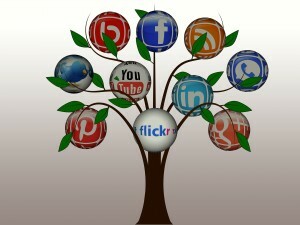 Your assignment for today: go to your social platforms and interact with your audience. 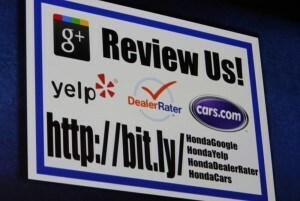 Ask them to review your business online. Make it easy for them to share their good experiences and you will see your credibility grow. It’s a strategy that takes time but offers tremendous upside. As your social proof grows, your business will ultimately grow, too. Social media is everywhere, but you shouldn’t be everywhere on social media. Here’s why. So many small business owners I know feel ambivalent about social media—compelled and overwhelmed at the same time. On the one hand, it feels like everyone is “doing it” and you feel like you should, too. On the other hand, you have a ton of work to do and you’re not sure how you’re going to post/tweet/snap/insta and get the rest of your work done. To top it all off, you may not even see a return on your investment. I know this because I’ve been there. The reality is that the strategic use of social media can be a great way to connect with current clients, potential clients, former clients while demonstrating your expertise and humanity. That being said, not all social media is created equal. Choosing the right social media platforms is important to your business, and you will save you a ton of time and money by being selective. You shouldn’t decide solely based on the number of active users, though. What other things should you consider when choosing your social media platform? Your Market. Are you a looking for business to business (B2B) or business to customer (B2C) connections? If you’re looking for B2C connections, you’re probably not going to use LinkedIn to find customers. You’ll spend more time developing your business connections through Facebook, Instagram, Pinterest or Twitter. If you see B2B, you’ll get a bigger bang for your buck by connecting with your market through LinkedIn and Twitter. Your Offers. If you’re offerings are visual in nature—a wedding planner, for example, you should choose a visual platform such as Facebook, Pinterest, and/or Instagram. If you’re offering information products for sale, you can rely on Twitter and LinkedIn more. Don’t be fooled, though—you’ll get much higher engagement on any platform if you have a relevant video element, a picture or video that draws your audience in. The Cost of Reaching Your Audience. You might also consider the costs associated with various platforms. Recent changes in Facebook’s algorithm make it very difficult to reach your audience unless you pay Facebook to advertise or “boost” them. Without paying, your great content will be hidden from most people’s walls, even if they have opted in and “liked” your Facebook page. I have seen examples where Facebook Pages with 1,000,000+ likes were being throttled down to minimal reach (less than 10,000) when the page owner wasn’t paying to “boost” posts. Even though Facebook can be an excellent advertising platform, you should still consider the overall investment before you make your decision about which social media platforms to use. Here’s my number one rulePick one or two places where your prospective customers hang out and focus your energy there. Don’t be everywhere. It would take too much time and, honestly, it probably wouldn’t help you make more money. You’d need a whole department dedicated to social media. Instead, choose your top one or two social media platforms and build your relationships there. Quality, not quantity, is what’s most important. My number two rule for small business and social media is:don’t hire your 16 year old niece to handle your social media because she spends a lot of time on Instagram. Many business owners want to throw up their hands and delegate social media because it’s time consuming and can be confusing. And, because they saw their niece posting about Christmas dinner on Facebook, they assume she can handle their business’ social media duties. The truth is that social media is about representing your company in the best possible light, with the intention of building your relationships and ultimately making you more money. You wouldn’t send your 16 year old niece to do an important sales presentation for a big potential client, would you? You shouldn’t turn over your company’s social media marketing to her either. Social media manager. 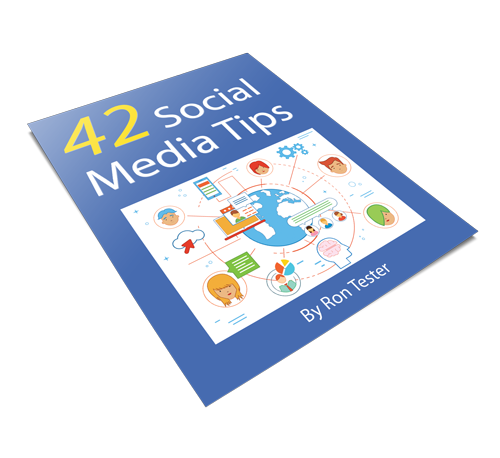 This is a great alternative if you want your social media to work on your behalf without investing a lot of your own time. There is still an upfront investment of time—usually a lot less than when you train someone in house to do it—but then you delegate the day to day responsibilities and monitor your social media results regularly. This is one of the services that I offer my clients because I know the value of a “done for you” social media manager, strategically generating content and engaging your audience. Here’s my number three rule of small business and social media: don’t start if you’re not going to keep it up (or have someone keep it up on your behalf). I see too many companies who start a Facebook page, post a few things, then let it go. Maybe the person lost interest, or maybe the business closed down. I was recently looking for a company’s information on Facebook and the last post they had was from 2013. The website they had encouraged people to go to on their Facebook page wasn’t even a working website anymore. I knew this company was in still in business, but most people have just moved on. Seeing an abandoned Facebook page is like visiting a ghost town. You don’t want your business to come across like that. If you have questions about which social media platforms would be right for your business, or if you would like to find out what it would look like for my company to manage your social media for you, email me. I’ll be happy to help any way I can.